The following travel photographs are from my journey into the Bylakuppe Tibetan refugee camp in southern India. 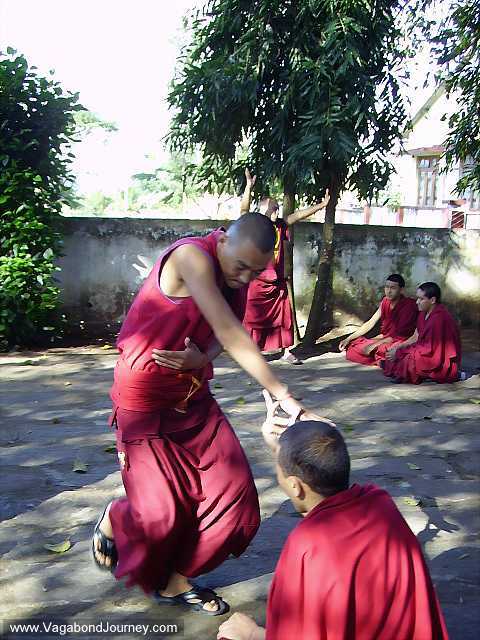 These photos are of Tibetan monks in a debate session, old refugees, the SOS Tibetan refugee school, Sera monastery, and other Buddhists monasteries that cover the Bylakuppe refugee camp. 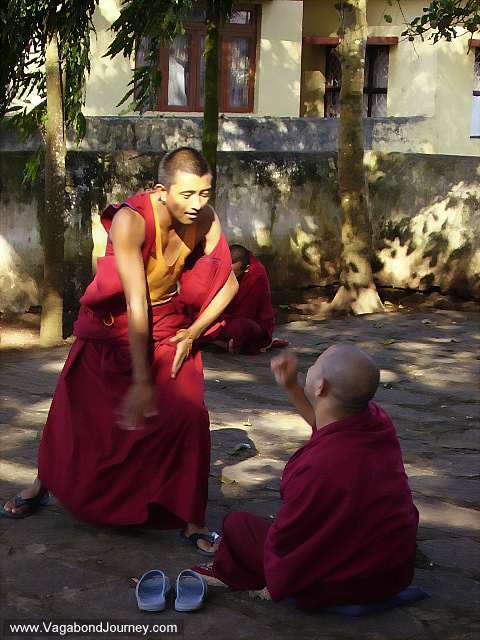 Tibetan Buddhist monks in the middle of a debate session at a monastery in the Bylakuppe Tibetan refugee camp in India. 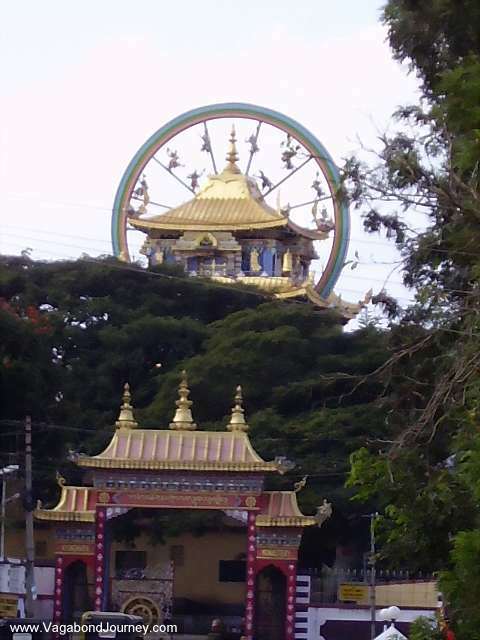 Sera Monastery at Bylakuppe. These Tibetan refugees at Bylakuppe are not the impoverished models for empathy that the world makes them out to be. 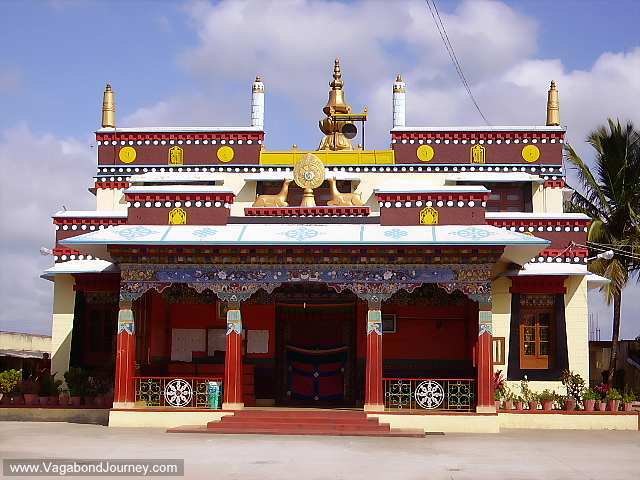 A Tibetan Buddhist Monastery in India. Tibetan monks amidst the fervor of a morning debate session at Bylakuppe. 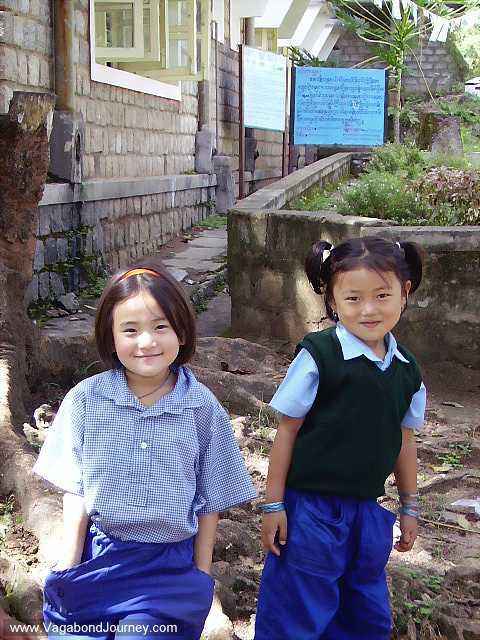 Tibetan refugee children at the Bylakuppe refugee camp in India. An old Tibetan refugee woman who remembers the old days in her homeland. 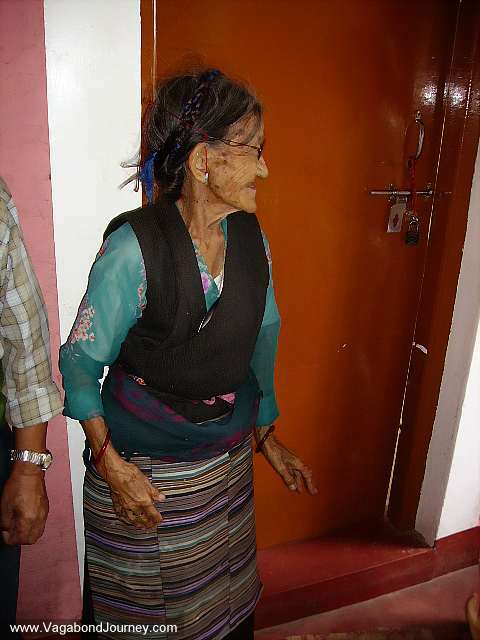 She is one of the few people in Bylakuppe who has actually set foot in Tibet. 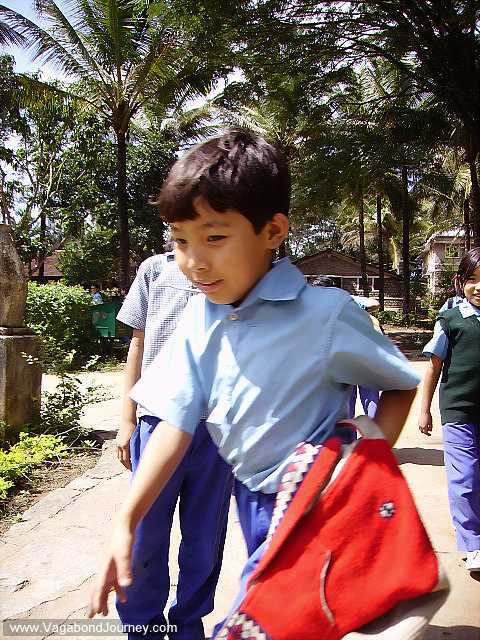 Tibetan refugee school child at the SOS Save Our Souls school in Bylakuppe in Karnataka Province of southern India. 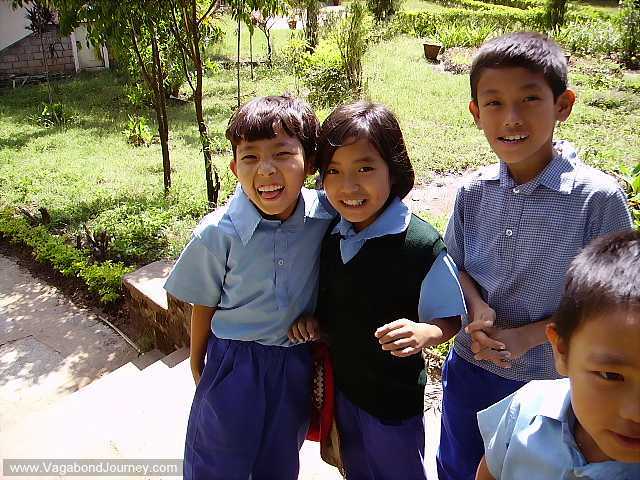 More Tibetan children at the SOS refugee school. 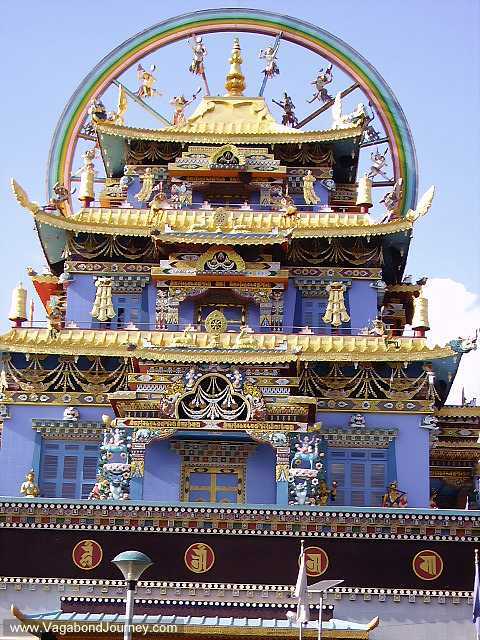 The golden Tibetan Buddhist monasteries that adorn the landscape at Bylakuppe. 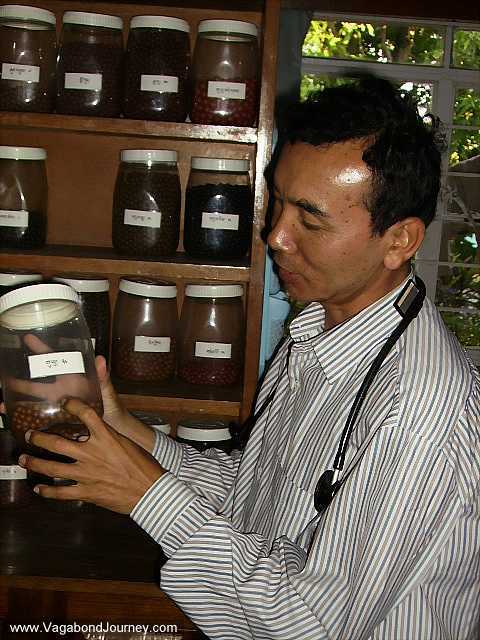 A photo of a traditional Tibetan medicine doctor showing off his medicines. He examined me and told me that I need to meditate more.